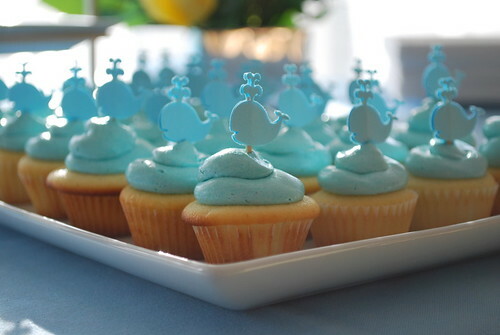 Whale Cupcakes, originally uploaded by eabryant. 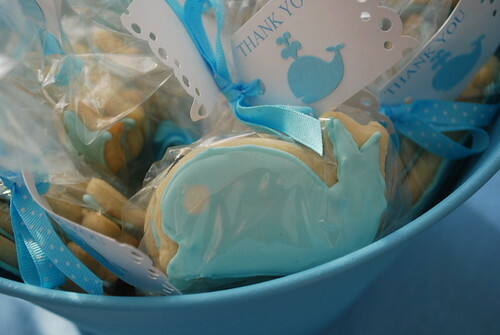 let’s start with those adorable mini cupcakes beth made you already saw and these adorable whale cookies as a thank you. then this delicious chocolate cake from extraordinary desserts (an amazing dessert place in hillcrest). david's mom made lemon chiffon tarts with fresh berries on top. 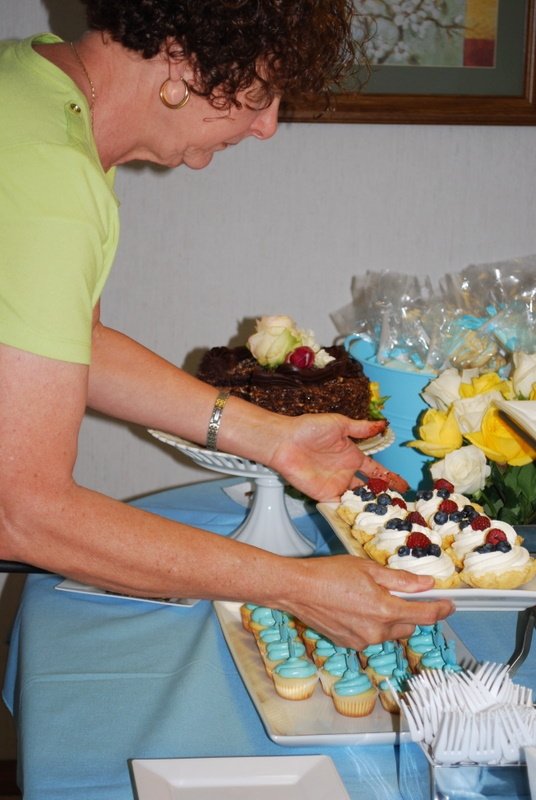 they were beautiful and delicious! like I said, all his aunts and cousins came. so nice. and they got me presents – and who doesn’t like presents? and I was very excited (my face is priceless). and I am grateful. chubby with a funky haircut . . . but grateful. seriously the cutest shower ever! And you are beautiful pregnant! I like the new hair!!! 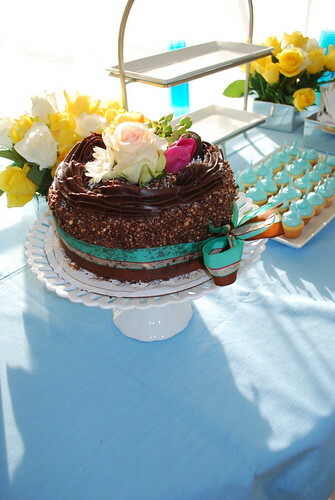 I love the whale idea and those cupcakes!! Your hair looks cute, I like it! You finally cut bangs like you have been wanting for a while now! Looks adorable! You sure make a cute pregnant lady! Ya know how people talk about "glowing" when you're pregnant? Well, you're a good example of that. *You look beautiful. 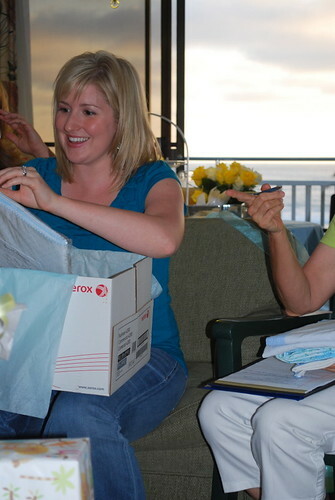 Liz, OK I will trade baby gear for photo tutorials from you. Those pictures were awesome and look oh, about one gazillion times better than the ones that I took with my camera. What are your secrets?! And I agree..your hair is cute and you look radiant. 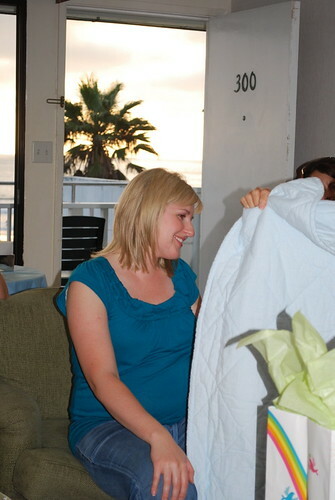 A beautiful baby shower at the beach...you're a lucky lady! 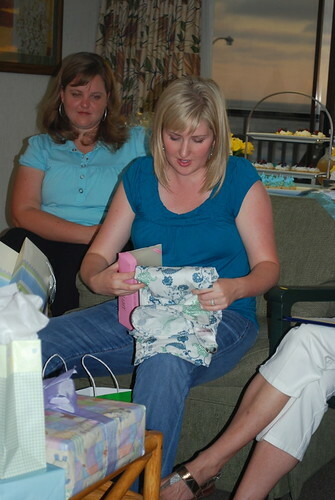 And a beautiful mommy to be too! that shower was divine. 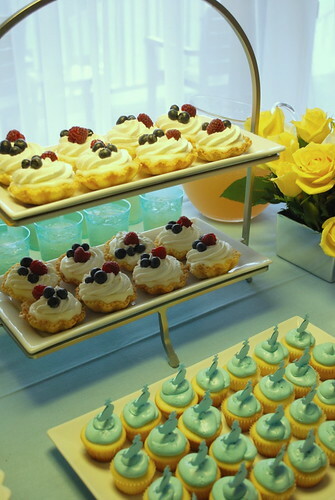 I'm still dreaming about that creme brulee cake...the lighting was naturally perfect for the shower, too--sunset-y and warm. I can't wait to see Little Man dressed up in some of his darling duds. i love the attention to details. it looks like a fantastic shower! You are one hot mama, Liz! What a darling shower. 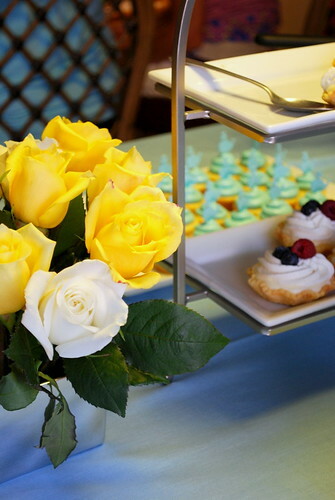 Those tarts are killing me!